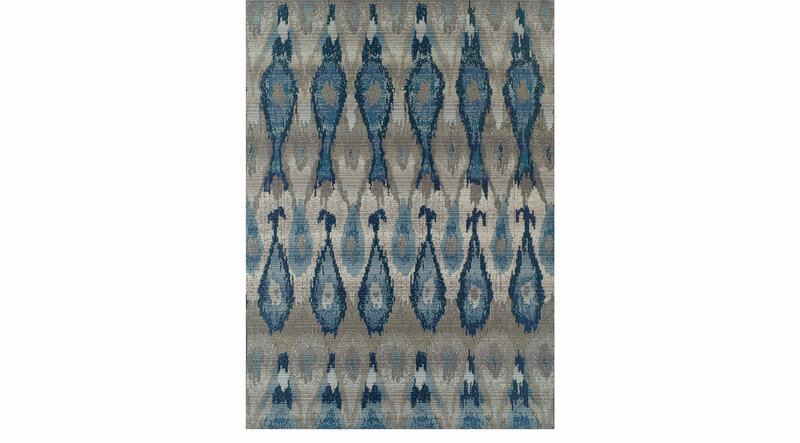 Add depth and boldness to any indoor or outdoor space with the unique ikat pattern of the Elsmere rug. Combine its cool colors with your interior decor to make a statement. Flat woven with polypropylene. To clean, vacuum regularly. Spot clean with mild soap and water.